I just wanted to take a second to complement you on the first-class operation you are providing in Killdeer, North Dakota. 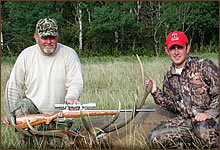 I have been on several hunts where I spent thousands of dollars and was unable to harvest a trophy or even see one. This was the first time my son was able to go on a trophy hunt with me and he was equally impressed. As you know, our time was limited because of my work and his school schedule. 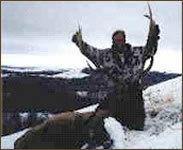 To find a service, such as yours, that provides the hunter a very real challenge of climbing in the high country in search of trophy bull elk is rare. What is more incredible is that we were able to harvest both our bulls, within the limited time we had available. This really makes your service truly outstanding! You can rest assured every time I get a chance, I will let people know about the great hunting at Killdeer Mountain Outfitters. This was a lifesaver hunt due to a problem I ran into trying to cross the border into Canada. I found myself in North Dakota in need of a hunt. I found Killdeer Mountain Outfitters on-line at a public library. Within 24 hours, they saved the day by providing my hunting partner and me with a first-class elk hunt. The ranch is located on the most incredible piece of property! Animals, guides and experience are all first rate…lots of bulls with awesome racks! Thanks for your great hospitality on my recent hunt with you. 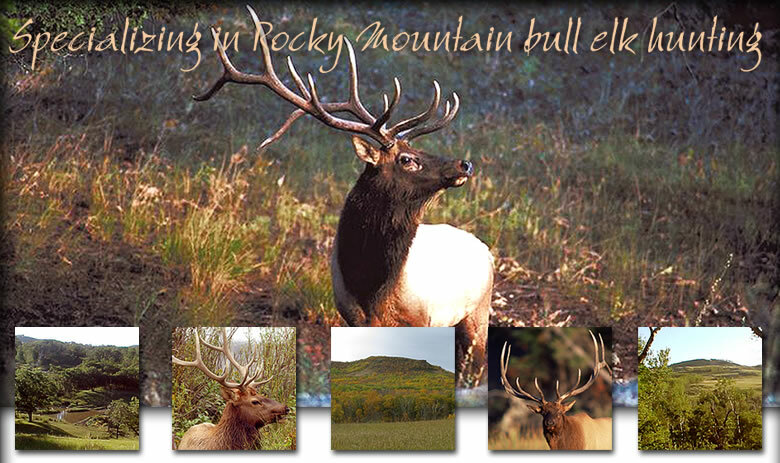 I highly recommend your facilities to anyone wanting to harvest a prime trophy bull elk. Your location in the Killdeer Mountains is pristine. Your herd was top notch and the food was out of this world.